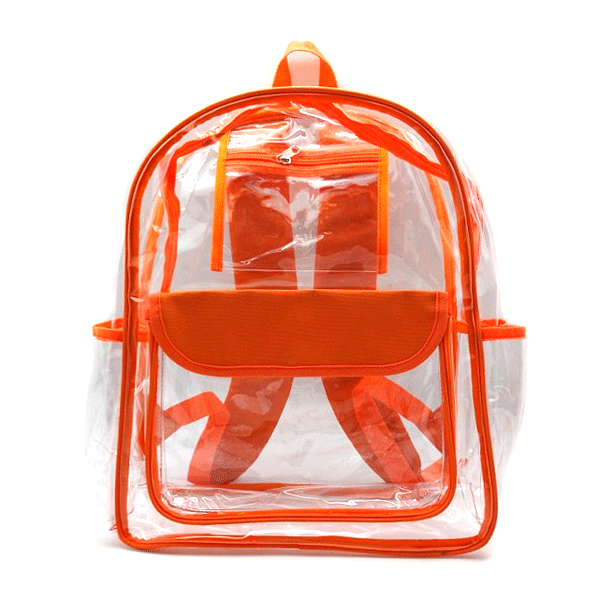 Heavy Duty PVC clear backpack with padded shoulder straps. Front outer pocket to store easy to reach items. Small zipper pocket inside.